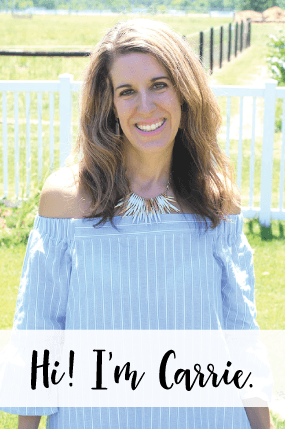 I can’t believe I am posting two consecutive weeks in a row about master bathroom projects I have completed… but, here you go… ANOTHER master bathroom project! I have been wanting to purchase a basket to put on top of the toilet for quite some time and I knew I wanted to ‘dip’ it in some paint. 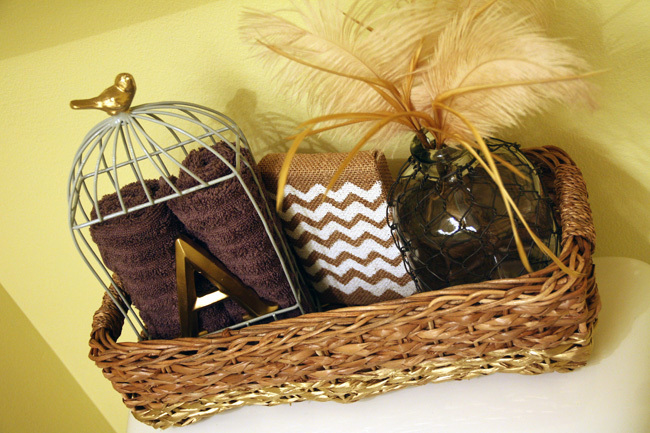 Well, I was going to do white, but then that would have blended into the color of the toilet… which, would have NOT worked, so why not dip the basket in GOLD paint?!! I also had a lot of fun finding accessories to go IN the basket, because who wants to stuff your basket with something practical such as toilet paper?! SO, here is what I came up with and I am SO in love with it. 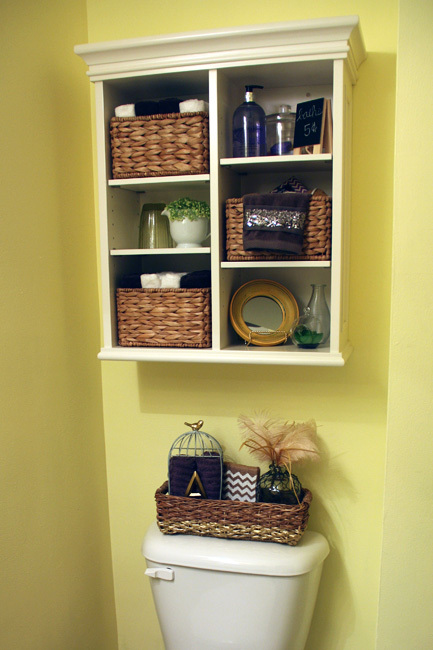 The colors go with the bathroom, I’ve used small and large pieces, it is simple yet visually interesting… and, most of it is from Hobby Lobby, which is always a plus in my book! 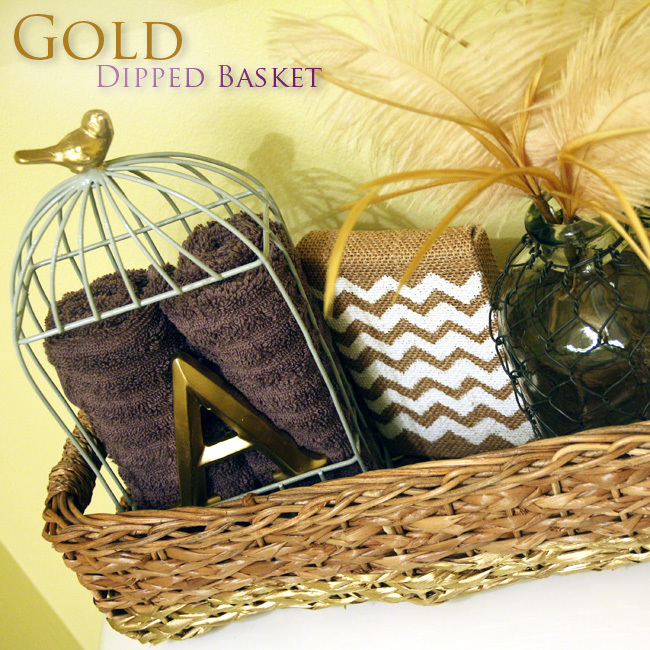 Keep on reading to find out how I dipped this basket in gold, how I decided upon the pieces to place in the basket and for a project list of where I bought everything and prices. Let’s start with the basket first, ok? I knew I wanted a basket that would fit the shape of the top of the toilet and I looked around for several weeks while I was out shopping for other things. I happened to be in the storage area of Target and found this basket and it was labeled ‘media storage’ basket. I didn’t plan to use it for that, but I loved the rectangular shape of it and the height… so, in my Target cart it went. It isn’t hard to fill that Target shopping cart, is it? 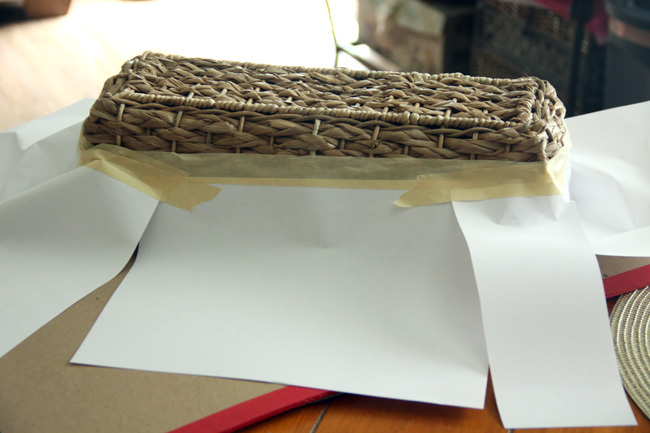 Then I used just plain ole masking tape, because I was out of Frog tape… which, the masking tape worked just fine AND it is much cheaper… I taped around the basket with basking tape and white printer paper, so that only the area that I wanted to paint was exposed. 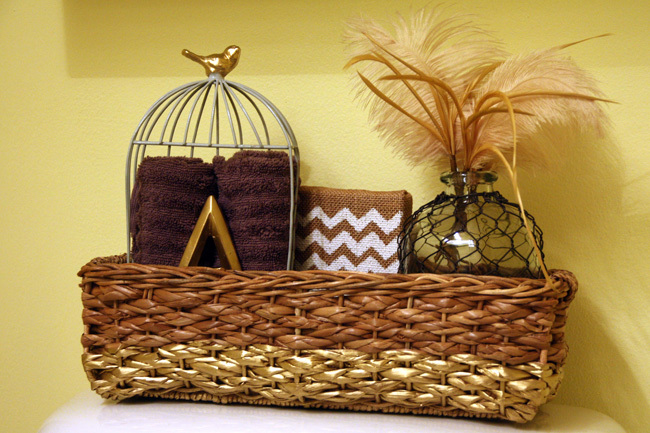 I sprayed the basket with one of the small cans they sell of spray paint at Hobby Lobby in gold. 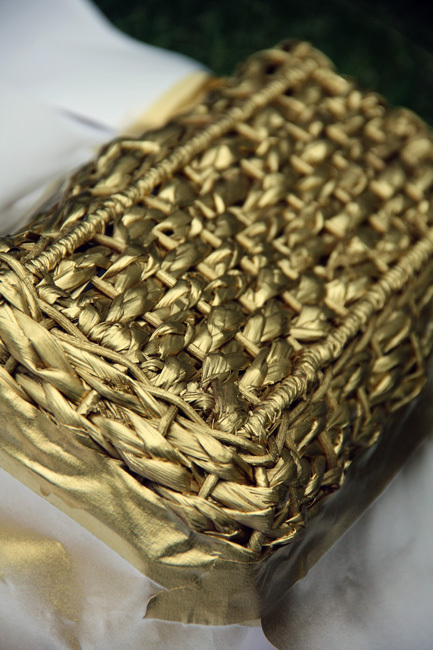 So pretty, so fine… Ah, I have a gold crush. 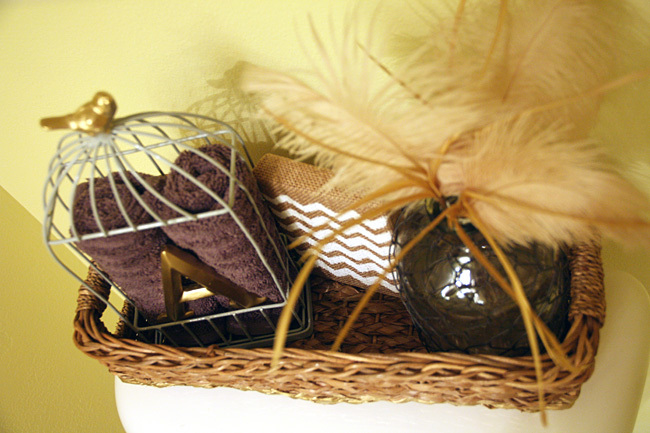 That’s not all I spray painted gold… I found this darling little bird house at Hobby Lobby, it too was rectangular shaped and fit into the media storage basket perfectly. 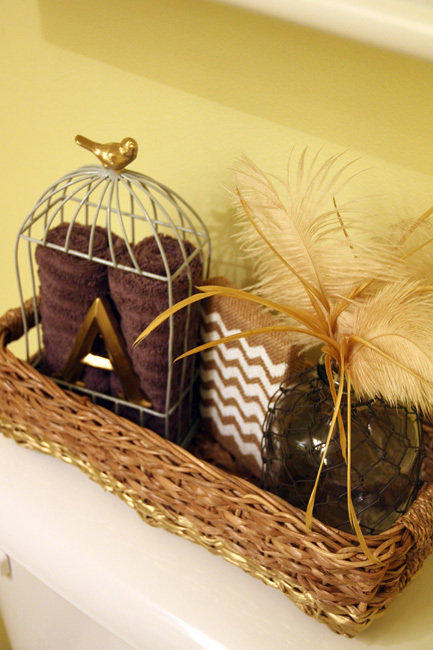 The bird cage was brown, but I wanted it to match the colors of the master bathroom. 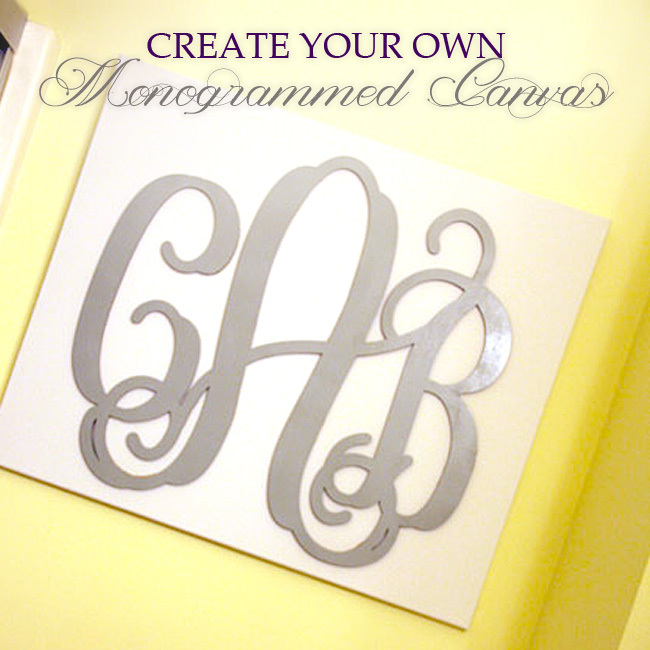 So, first I spray painted it grey and then that wasn’t enough… I spray painted the little bird on top in gold. 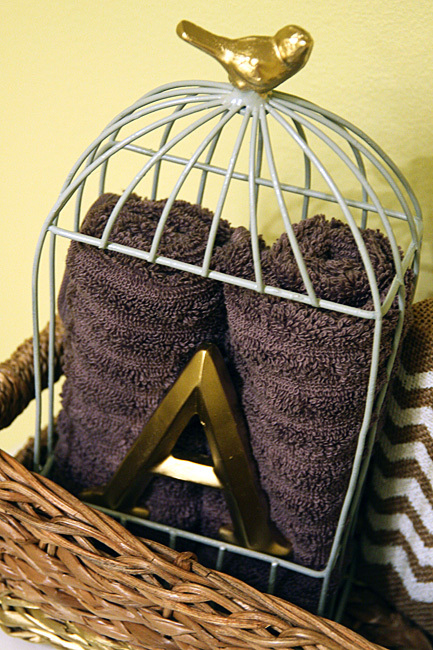 I also have added accents of purple throughout the bathroom and rolled up two purple towels that I placed inside the bird cage and added a letter ‘A’ (that I also spray painted gold) to add as an accent piece next to the towels. 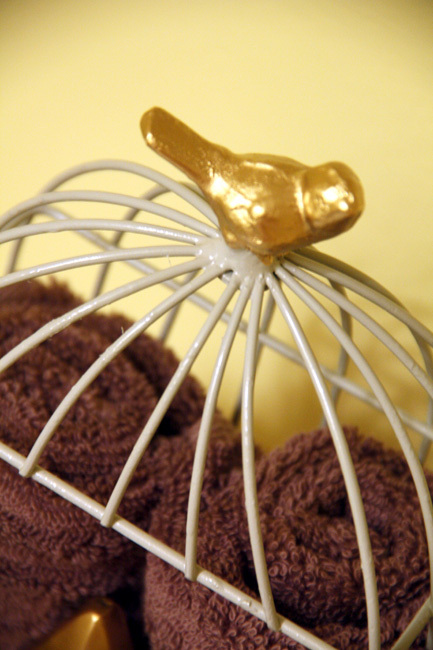 I just don’t think the bird cage would be as nice if it didn’t have a golden birdie on top. I also found this cute little glass vase wrapped in chicken wire. I knew I had to have it… I actually bought something else that I was going to place in that spot in the basket instead, but it was too small and it is now on my night stand. 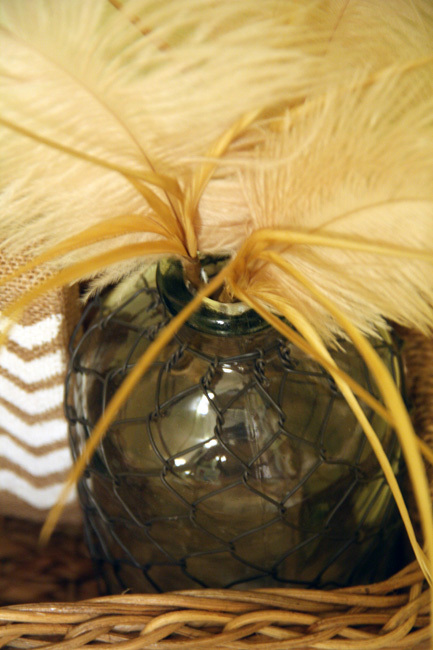 🙂 The chicken wire vase looked a little bare, so I added some feathers to it. 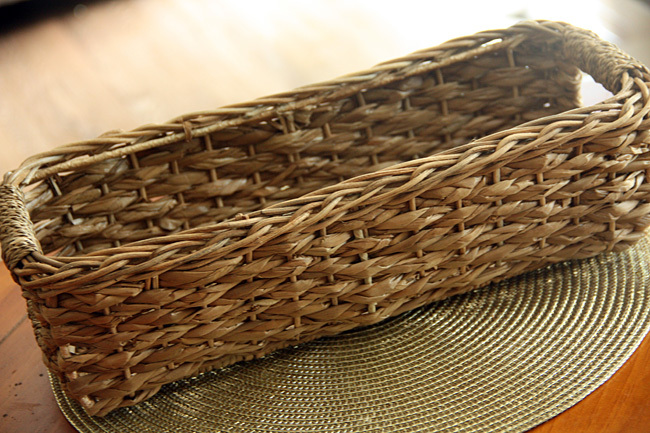 Here is a view from the top of the basket… I really feel all of these pieces flow really nicely together. 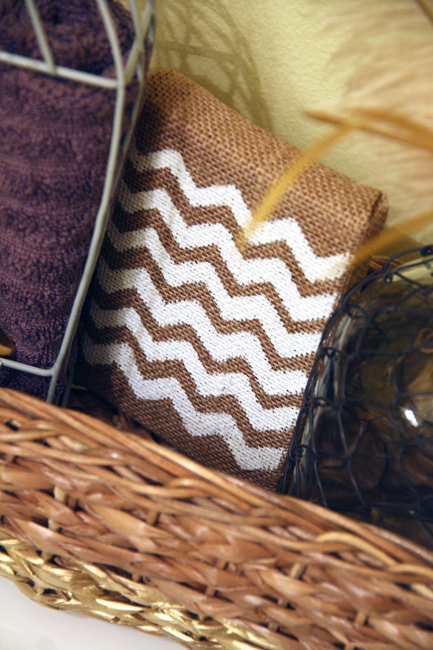 And, I love how all of the colors blend perfectly together with each other and with the rest of the bathroom. If you were to walk into the bathroom, this is what you would see. I had to make sure it would look nice against the large cabinet with baskets above it. The gold dipped portion of the basket is beautiful. I want to dip everything in gold! 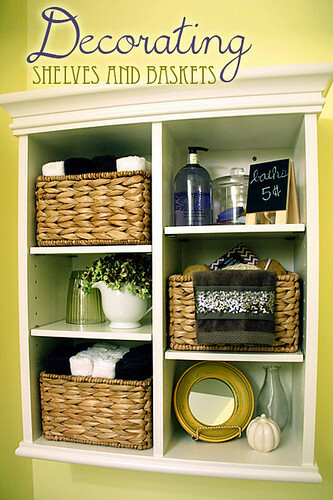 I just have a few more changes I need to make to the Master Bathroom and then I will be DONE. 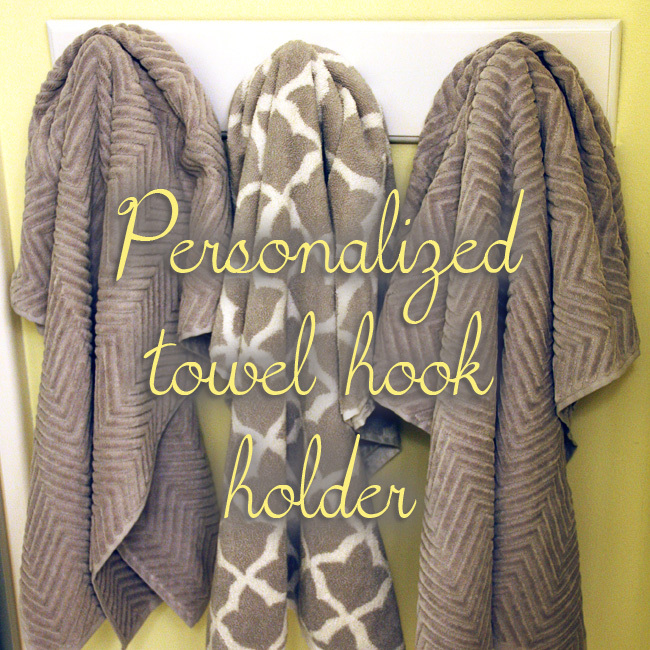 I want to find a new mirror, a hand towel hanger and a faucet for the room. We did change out the light fixture over a year ago, but I will share that when I finally get a new mirror hung in the room. 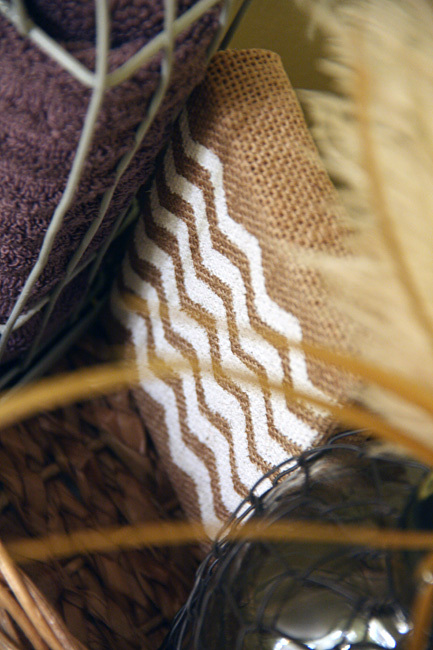 I will be glad to finish the master bathroom, so that I can start focusing on another room! Ready for the list of where I found each item and their approx. cost?